Our sport trailers are ideal for the active sportsman. 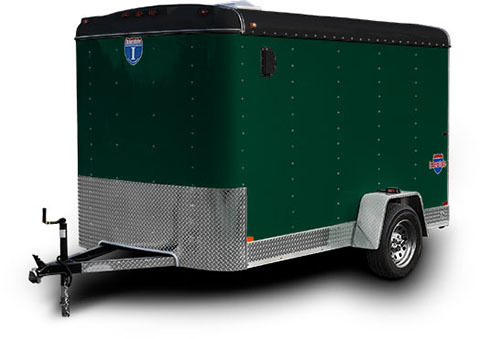 Four extra inches of ground clearance provide easier towing in rough country, and wide rear ramps and front ramps make loading and unloading a breeze. 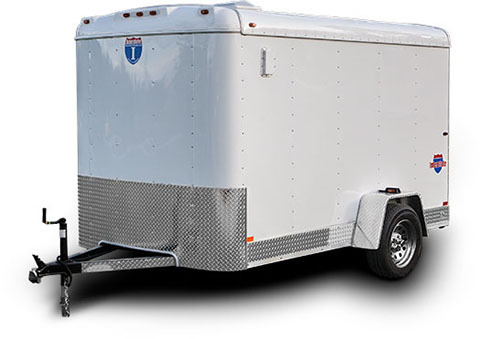 These trailers feature 8-inch I-beam frame rails from the coupler to the rear bumper, and they can accommodate ATVs, cars, or snowmobiles. 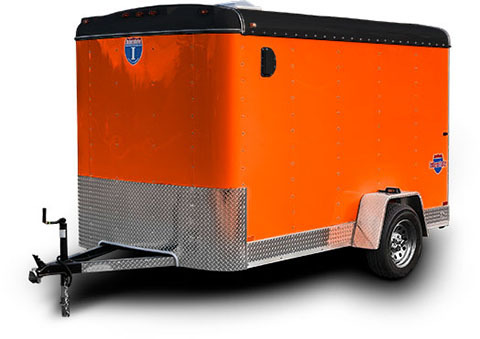 Customize your sport trailer from our wide range of options for just about any outdoor activity. 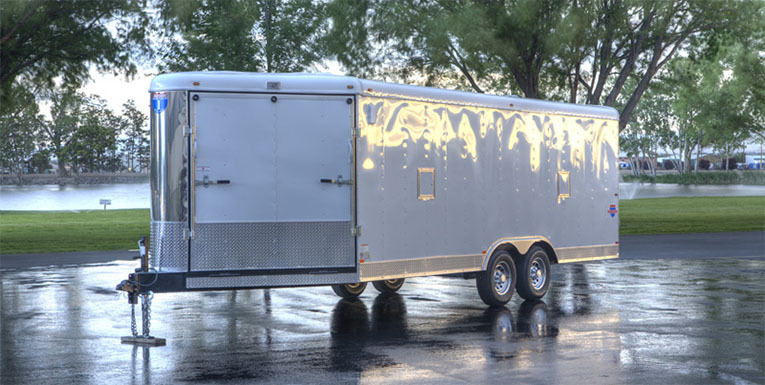 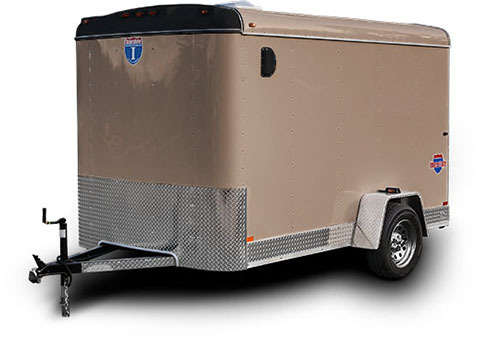 Interstate's sport trailers range in length from 14 to 35 feet in length. Click the Interstate Shield on the right to find a sport trailer for sale at your nearest TrailersPlus.